Lucy and Erza Cosplay. . HD Wallpaper and background images in the Fairy Tail Cosplay club tagged: photo. 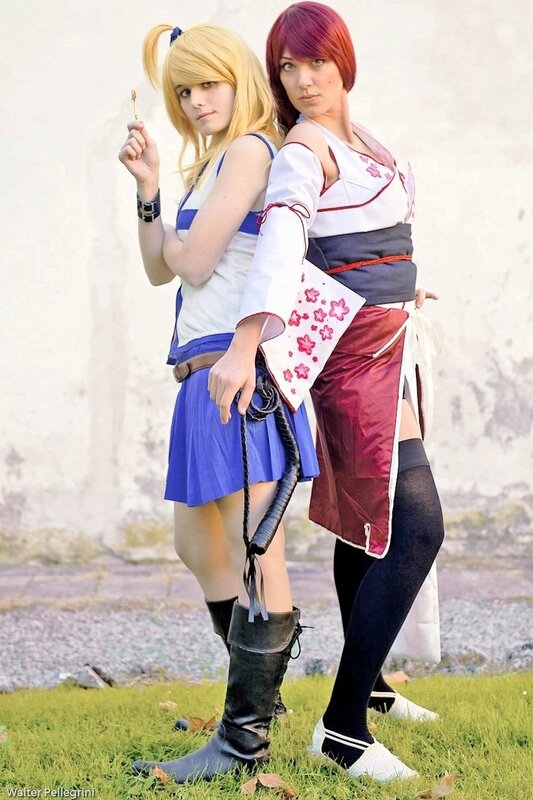 This Fairy Tail Cosplay photo contains hip boot and thigh boot. There might also be bare miguu, pantyhose, skintight suruali, skintight, akamzalia miguu pantyhose, suruali skintight, hosiery, hose, cocktail mavazi, ala, cocktail dress, and kutoboa.